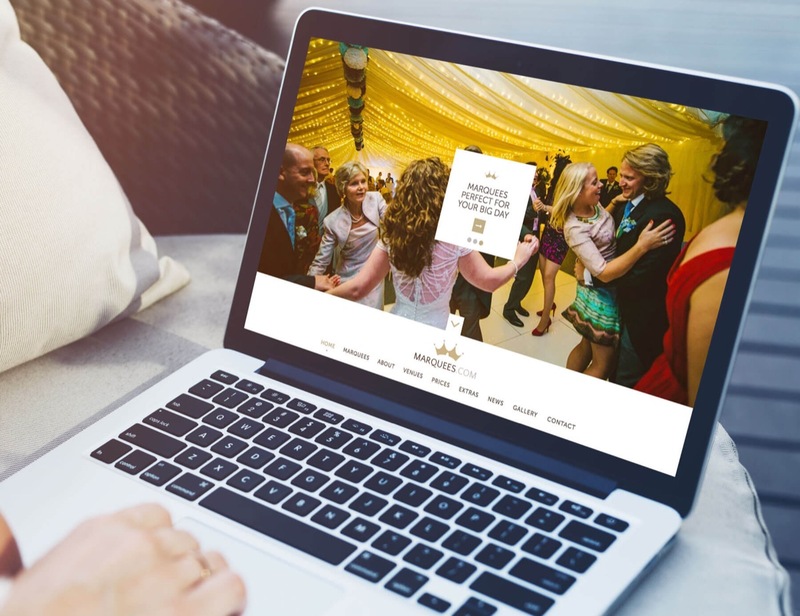 It was a celebratory affair when greensplash got into the party mood with Marquees to toast their elegant new brand and growing online presence. Cheshire based Marquees required an identity re-invention that reflected the ethics and values of the company. With striking imagery, concise navigation, carefully crafted copy and a gallery to heighten customer-interest, Marquees now exudes itself as an elegant and sophisticated brand that prides itself on customer satisfaction. 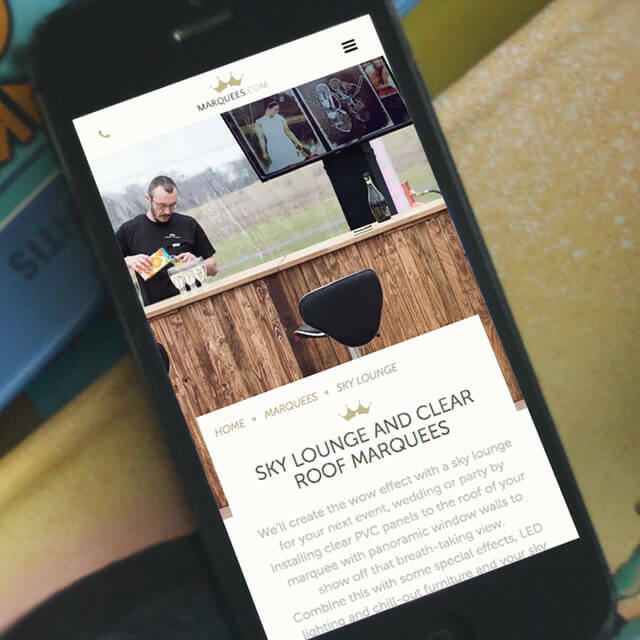 Appealing to high-end clientele, the Marquees.com website engages the perfect target market with the right messaging and branding identity through intricate design and optimum functionality. 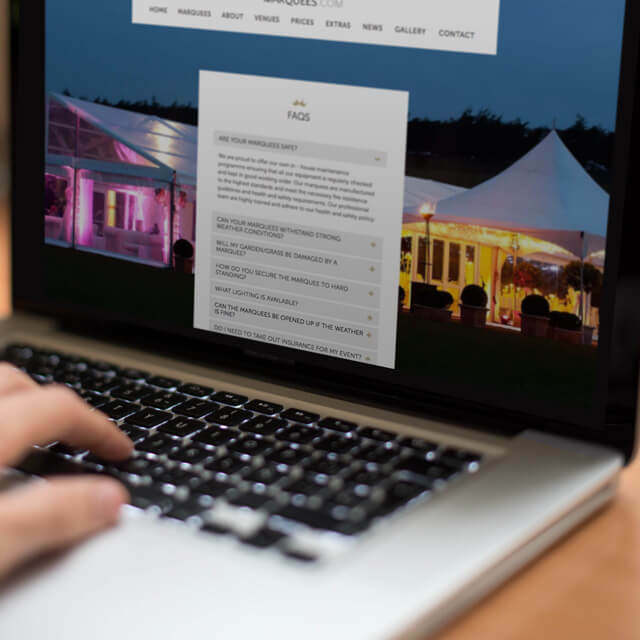 What’s more, a simple to-use CMS system has been incorporated to ensure Marquees can continually engage with its audience through company news, industry updates and other brand communications. The overall result: a website that denotes elegance, style and superiority and a service that’s committed to excellence. With decades of experience in the industry, Cheshire-based Marquees provide assistance with events throughout the Northwest. With a product supplied by the highest quality manufacturers in the world, the marquees by “Marquees” can be used in all seasons and are able to withstand all weather conditions. Marquees.Com should reflect a ‘lifestyle’ and humanistic aesthetic. 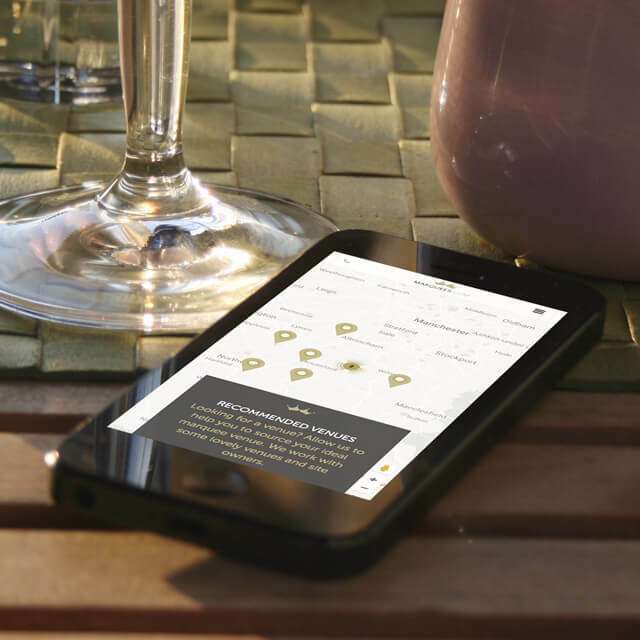 Navigation should be simple and clear, and the site structure should take customers right through the buying experience – from choosing the most appropriate type of marquee to choosing the perfect venue for their needs. All information would need to be clearly presented to give the customer a true understanding of the service and offering, and imagery would need to be prominent and memorable. A fully comprehensive service, Marquees supply accompanying accessories, furniture, dance floors, bars and stage options, and provide an optimum and hassle-free customer experience. Designed to meet the needs of varying circumstances, Marquees is the ideal event solution for weddings, corporate events, social functions and the like, with five simple price plans for different event sizes and budgets. Priding itself on a professional service and committed to delivering superior solutions, Marquees is fast becoming the provider of choice for both individual and corporate clients. With over 60 years combined experience and with a team of highly trained and dedicated staff, Marquees delivers high quality events from start to finish. 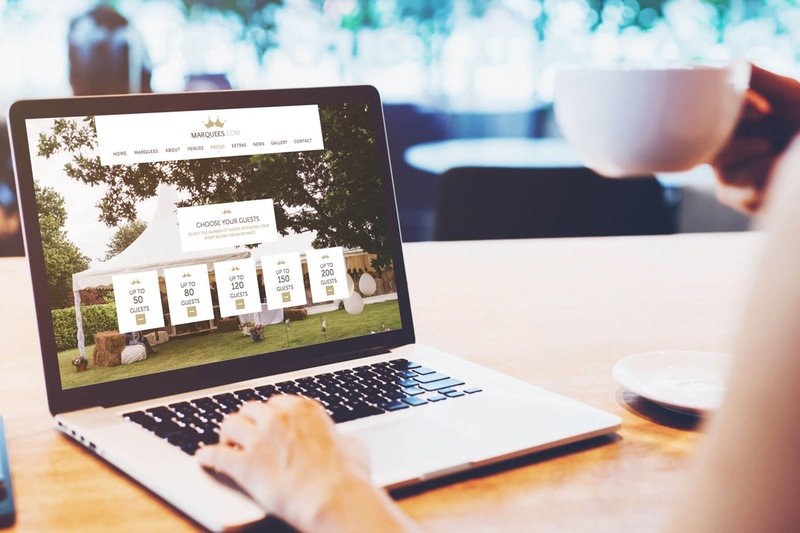 To discover more and to view the growing online presence of Marquees following the website revamp at greensplash, please visit: http://www.marquees.com.